Dr. Kivisäkk earned her MD, PhD from the Karolinska Institute in Stockholm, Sweden, studying the cytokine network in cerebrospinal fluid from patients with multiple sclerosis (MS). She did a post-doctoral fellowship at the Cleveland Clinic with Richard Ransohoff focusing on the role of chemokine receptors in directing T cell migration to the CNS. 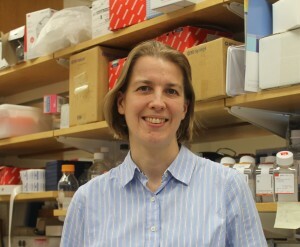 During her second post-doctoral fellowship with Samia Khoury at Brigham and Women’s Hospital, Harvard Medical School, Dr. Kivisäkk established an animal system for studying interactions between T cells and antigen-presenting cells in the subarachnoidal space in mice during experimental autoimmune encephalomyelitis (EAE), an animal model for MS.
Dr. Kivisäkk has since 2008 been responsible for managing a biorepository of serum, plasma and peripheral blood mononuclear cells (PBMCs) collected from MS patients participating in the CLIMB study at the Partner’s MS Center, Brigham and Women’s Hospital, a longitudinal study following 2,000 MS patients for 10 years. Her current research interests include biomarker development in MS, with a focus on assay validation, predicting disease progression and treatment responses, and immune alterations during natalizumab treatment of MS patients.